Details were pretty scarce for the announced titles. Just Dance 2017 will be available at launch and includes three free months of Just Dance Unlimited, an online subscription packed with new songs. Up to six players can play using a combination of Joy-Cons or phones with the Just Dance app. Rayman Legends: Definitive Edition didn't get a release date, but Ubisoft promised the port will receive all of the original game's content along with some brand new surprises. Finally, the snowboarding game Steep was teased as the third Switch release. 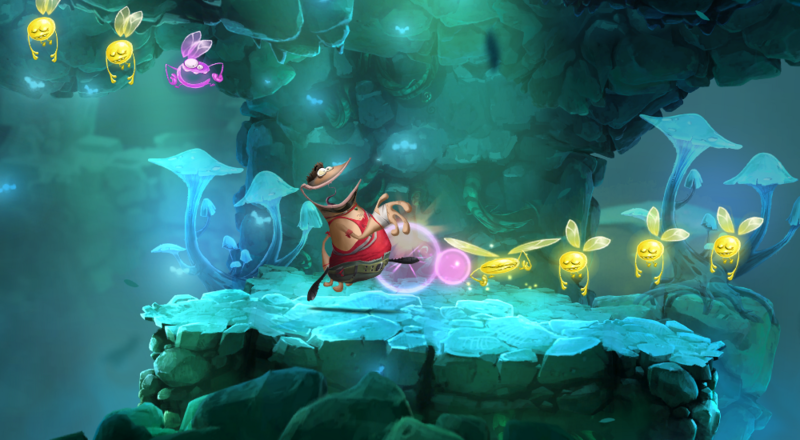 Local co-op for 2-5 players made Rayman Legends a fantastic party game. With the Switch's focus on group gaming, it's a fair bet to assume the feature will be in tow. Here's hoping the "brand new surprises" take advantage of some swanky Joy-Con tech!